The doctrine of adoption—God’s decision to adopt sinful men and women into his family—stands at the heart of Christianity. In light of this, Christians’ efforts to adopt beautifully illustrate the truth of the gospel. 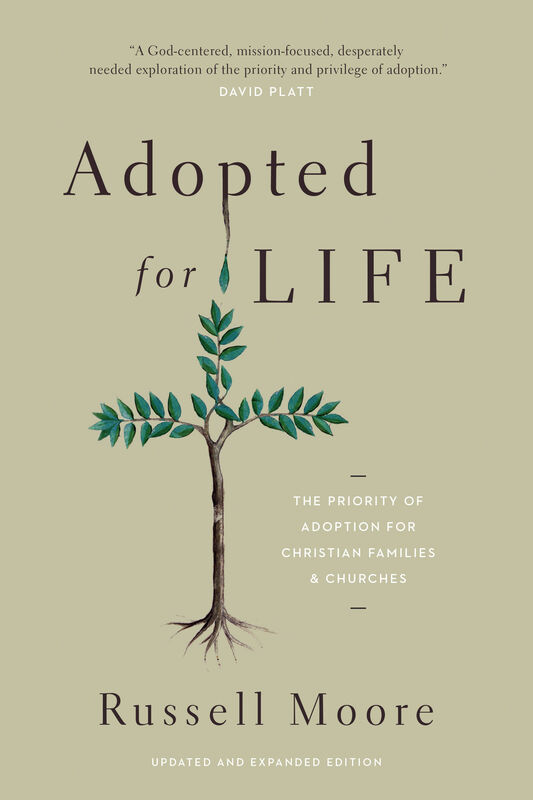 In this popular-level and practical manifesto, Russell Moore encourages Christians to adopt children and to help other Christian families to do the same. He shows that adoption is not just about couples who have struggled to have children. Rather, it’s about an entire culture within evangelicalism—a culture that sees adoption as part of the Great Commission mandate and as a sign of the gospel itself. Russell Moore (PhD, The Southern Baptist Theological Seminary) is the eighth president of the Ethics & Religious Liberty Commission of the Southern Baptist Convention, the moral and public policy agency of the nation's largest Protestant denomination. A widely-sought commentator, Dr. Moore has been called "vigorous, cheerful, and fiercely articulate" by the Wall Street Journal. He is the author of several books, including Onward, The Kingdom of Christ, Adopted for Life, and Tempted and Tried, and he blogs regularly at RussellMoore.com and tweets at @drmoore. He and his wife, Maria, have five sons.